Trump to Nominate Jessie Liu for Number 3 Spot at Justice Dept. 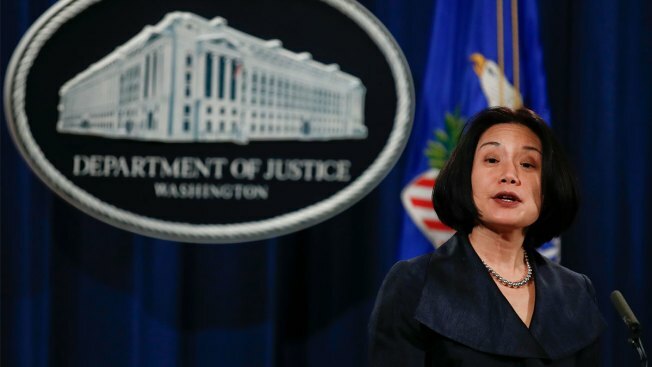 Jessie Liu, U.S. Attorney for the District of Columbia, speaks during a news conference at the Justice Department in Washington, Friday, Dec. 15, 2017. President Donald Trump intends to nominate Jessie Liu, the U.S. attorney for the District of Columbia, to be the associate attorney general, a senior U.S. official familiar with the decision tells NBC News. The No. 3 position at DOJ has been open since February, when Rachel Brand left to take a position as a lawyer for Walmart.